The recent bout of torrential rains and floods in Bangladesh and north-eastern India have yet again demonstrated the vulnerability of South Asia to natural disasters and extreme weather events. 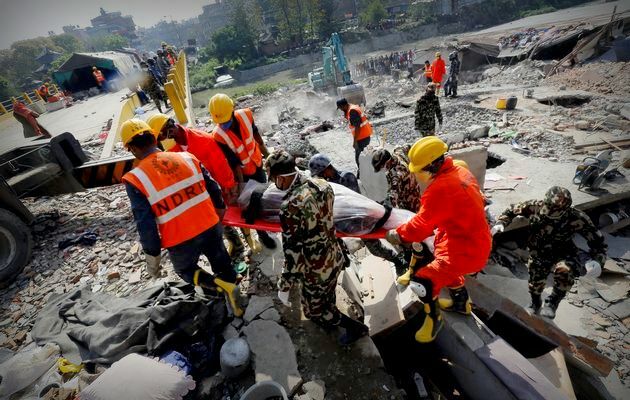 The series of earthquakes that rocked Nepal earlier this year brought to fore the inability of the eight SAARC (South Asian Association for Regional Cooperation) member states to come together for humanitarian assistance and disaster relief operations. This commentary explores some of the challenges facing SAARC in this sphere and also looks at some important lessons it can draw from ASEAN (Association of Southeast Asian Nations) - a regional association close to home, but miles ahead in terms of functional success. Natural disasters and extreme weather events have grown more frequent in the recent past. UN statistics reveal that Asia-Pacific is the world’s most disaster-prone region. Deaths caused by disasters in this region have increased by three times in the last ten years. South Asia, in particular, has been witness to a number of these. In July and August, Bangladesh and northeastern parts of India experienced heavy rains and floods that caused injury, loss of life and property. Earlier this year, a series of earthquakes rocked Nepal and resulted in widespread destruction of critical infrastructure, including hospitals. This led to a reduction in medical surge capacity in Nepal and deprived many injured and suffering from ill health opportunities for treatment. Many Nepalese were also displaced from their homes. Thus, there is a critical need to build a strong, functional and efficient regional cooperation network to provide Humanitarian Assistance and Disaster Relief (HADR) in South Asia. This includes tapping medical expertise from all SAARC nations to ensure health security in times of disasters. There have been speech acts from political leaders towards this goal. On August 19, 2015 (World Humanitarian Day) Indian Prime Minister Narendra Modi spoke about the idea of conducting a joint exercise with the disaster management forces of all South Asian countries. Bangladesh Prime Minister Sheikh Hasina, who was visiting India at that time gave a warm response to the suggestion. However, the time has come for these commitments to move beyond the realm of political rhetoric, and take the direction of concrete action. Trust issues between India and Pakistan have been a major deterrent for SAARC to function effectively as a regional organization in the past. However, in disaster situations, when lives are at stake; political disagreements between South Asian countries should be put on the back burner. Here, SAARC can take a leaf from the book of the ASEAN. Although the ASEAN member states do not have a consensus on major political issues affecting the region, they have coalesced efficiently in the area of humanitarian assistance and disaster relief. All member states of ASEAN ratified the ASEAN Agreement on Disaster Management and Emergency Relief Response (AADMER) in 2009. The agreement has legal power and has brought the member states to come together and build a more robust joint emergency response system. The ASEAN Coordinating Centre for Humanitarian Assistance on disaster management (AHA Centre) was established in November 2011. It helps facilitate communication and coordination between the member states and international organizations that work on HADR such as the United Nations etc. On an operational level, additional measures have been taken. In order to accurately assess the intensity of an emergency and to provide support to the national disaster management offices of the member states, an Emergency Rapid Assessment Team (ERAT) was created. This team comprises of experts drawn from different organizations, including from the civil society sector. The team is provided with training in standardized methodology with regards to logistics and on-site coordination. Another innovative measure is the ASEAN Emergency Disaster Response Simulation Exercises (ARDEX). Furthermore, “The ASEAN Way” is a unique element present in all forms of decision-making taken with regards to HADR efforts in Southeast Asia. It is based on the principle of consensus building. No action is taken without the unanimous approval of all ten member states. The incorporation of a similar culture in SAARC will not only democratize decision making in the region but also lend it greater legitimacy. However, it must be acknowledged that the South Asian subcontinent is not a homogenous entity. All eight of SAARC’s member states are different in terms of size, resources, and political priorities. In this regard, India's role is pivotal. From a purely logistical perspective, India’s size, manpower, and resources would have a huge impact on the quality, speed, and efficiency of any disaster relief efforts. It has something to gain by giving a greater commitment to this agenda as well. Taking the lead in HADR initiatives is one method of soft power projection as a non-controversial yet effective strategy for achieving prominence and a bigger role on the international stage. Given the unpredictable nature, yet the long-term consistency of disaster occurrences it is in the interests of all SAARC members that an active and significant HADR cooperation norm take hold in the region. The voices, stakes, and concerns of all SAARC members need to be heard in order to lend legitimacy and promote goodwill with regards to HADR efforts in the region.